When you design a building you want it to be beautiful - but you also want it to be safe. Trends in building design make it necessary for architects to rethink some basic concepts, like incorporating flexible building strategies, more resilient building materials or safer egress strategies. Architects have the opportunity to build buildings that meet client demands and make building occupants happy and keep them safe. There are a few challenges to navigate when it comes to fire safety. One of the biggest hurdles for architects is often designing for adequate egress. Let’s take a look at some of the most common egress design challenges that today’s architects face. 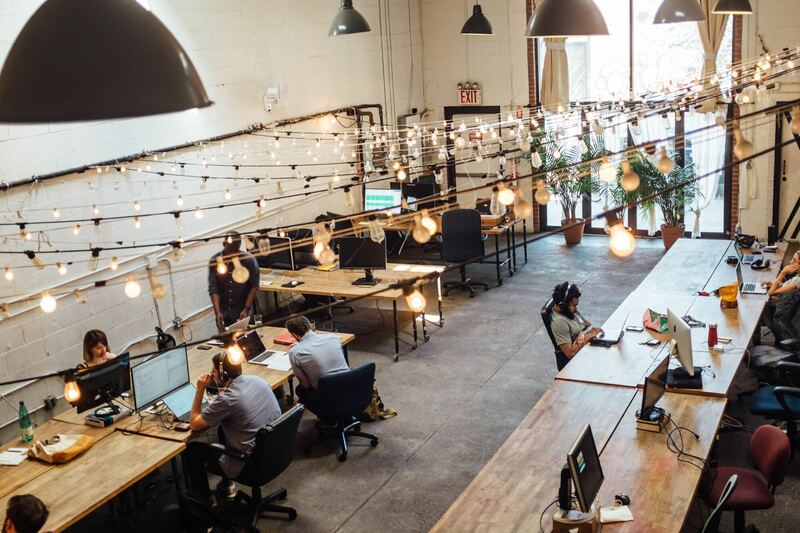 The open floor plan design allows growing businesses to accommodate more employees in a smaller space, reducing the building’s environmental impact. However, this kind of design can result in fewer natural fire and smoke barriers, which effectively shortens the time span in which employees can safely escape. So what do solutions look like for this trendy design? 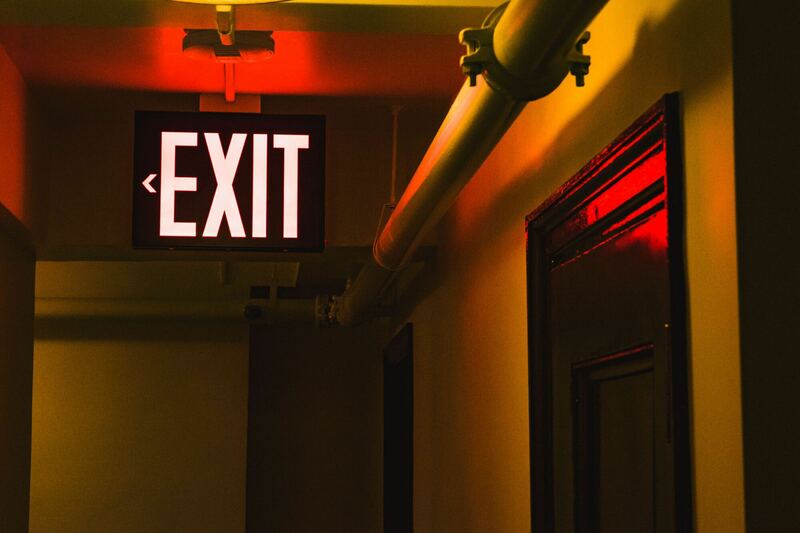 Building owners can reduce evacuation time for occupants by providing clear cues and guidance for egress, and by using traditional fire safety solutions like sprinklers, fire and smoke curtains, fire-rated barriers, emergency lighting and power backups. The growing number of high-rise buildingsmeans architects need to incorporate safety into elevator design. But humans are creatures of habit. 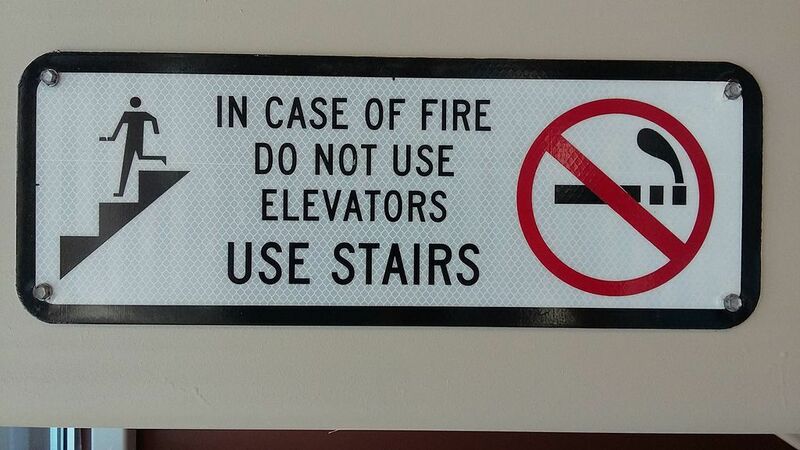 Even though elevators can be designed to offer safe egress for building occupants, many of us still have the “in case of fire, do not use elevators” sign ingrained in our memories. But the ICC set new code standards for elevator egress after the September 11 attacks, a “welcome change” according to security officials. Some state codes have been updated so that firefighters can utilize elevators for people with disabilities during an evacuation. Robert Lang, the chief security officer at Kennesaw State University, recalls a recent evacuation on the college campus that resulted in success: “A six-story building with close to 12,000 people in it was evacuated in 17 minutes” using normal evacuation procedures and elevator egress for occupants with disabilities. The updated code standards allowed for emergency responders to use elevators in the building for egress, resulting in an efficient and safe evacuation. Flexible design gives architects solutions for designing a building that can be used for many different purposes throughout its lifecycle. It’s a worthy goal for sustainability, but it presents challenges for fire egress. A restaurant, for example, would have a lower maximum occupancy than a bar because the tables and chairs in a restaurant slow egress. So if a building started out as a bar but was later used as a restaurant, the original maximum occupancy would no longer be accurate. So how can a building owner stay code-compliant while still using the building in a way that works best for their needs? Fire-retardant materials slow the spread of fire, which gives occupants more time to escape. However, some studies suggest that the chemicals used to make materials fire-retardant are toxic. That fact may take years to verify, but it’s certainly not in line with current preferences for healthy buildings. So how can a building offer “greener” fire protection? Fire sprinklers. 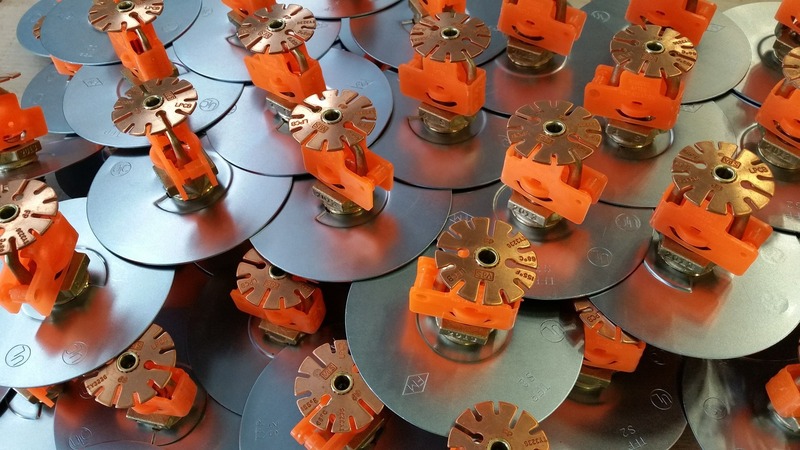 And the fire sprinkler industry plans to work with the USGBC to develop a LEED credit for fire sprinklers in future editions, based on measured environmental benefits of sprinkler systems. Studies conducted in the wake of the September 11 attacks revealed that building design best practices are based on computer modeling. And computer models are based on the assumption that people will behave predictably in an emergency. Building occupants will often delay evacuation to finish tasks or complete phone calls. 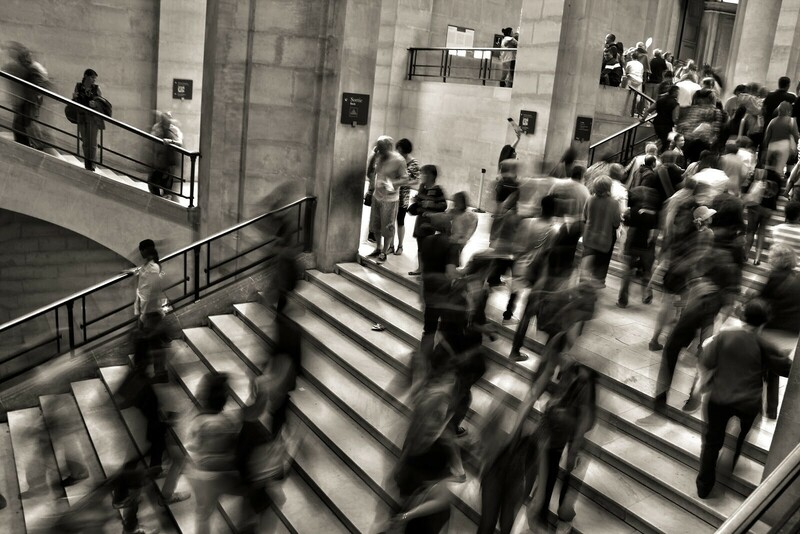 People tend to discuss the situation, then make group decisions. People are less likely to respond to an alarm when they’re unable to detect smoke, flames or other sensory cues. Things like poor physical condition, uncomfortable footwear and even bad weather can cause people to delay evacuation in the hope that it will turn out to be a false alarm. Environmental barriers that can delay evacuation include lack of training, lack of knowledge of the building, a history of false alarms or a company culture where people fear they’ll be penalized for evacuating unnecessarily. As commercial buildings become more complex, and the traditional prescriptive approach to fire safety becomes less reliable, the best solution is to take a holistic approach to design. Today’s architects face innumerable challenges in trying to meet client expectations and local code, all while keeping fire safety a top priority. Those who understand the complexities of how different building systems work together will have an advantage when it comes to creating innovative designs that meet (or exceed) standards for safe building egress and a code-compliant design. Learn even more about designing for code compliance and specifying the best products for your building on our blog.